From the time she was born, Camille was a shining star. She caught the judge’s eye at her first puppy match and brought home the blue ribbon–and there were more awards to follow. But more important than the prizes Camille won, were the many hearts she melted. Everyone loved Camille! After producing some beautiful puppies for us, including Rainshade The Brass Ring (exported to Germany), Camille was exported to Australia. 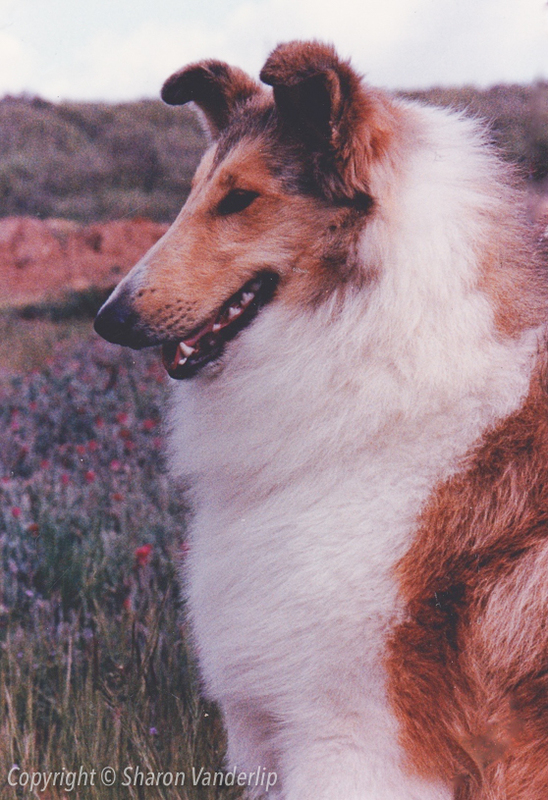 In Australia, Camille produced champion offspring and passed on her many qualities to benefit the Australian Collie gene pool. Rainshade Sans Souci is featured on the bookmarks used as fundraisers to support the Collie Club of Maine. She lived a happy, healthy life and lived to be 14 years old. To this day, we all still miss her.